Are you a student in distress? Contact Holly Underwood at 256-765-4223 or hunderwood1@una.edu. Are you a concerned friend, professor, or UNA community member? Complete the Intervention Referral Form! The CARE Team is here to support UNA students. We believe all students deserve a happy, healthy college experience. Early response to the needs of distressed students can prevent increased risk and retain the student's success in and out of the classroom. Referrals help us keep students and our campus community safe. 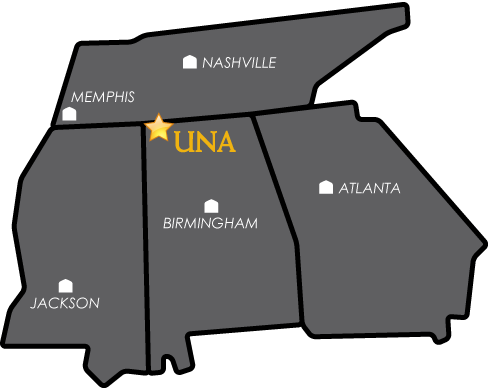 Our work relies on referrals from members of the UNA community, and we can only be effective with your support. If you observe concerning behavior, take action! Refer the student to the CARE Team for help. In the case of an emergency, CALL 911 for IMMEDIATE ASSISTANCE. Intervention Referral Forms are not checked after business hours.